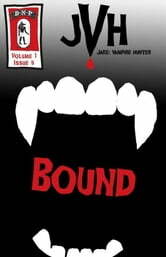 In this issue, Jake is on his way to get assigned when he&apos;s intercepted by an old, well-dressed man who agrees to lead him to the "assignment" room. During the walk, Jake finds out a host of information about the world he&apos;s in...and what he&apos;s been dragged into. Once in the assignment room, he learns more from a Class 3 spirit and gets pulled into his assigned door to destinations unknown.